We encourage new producers to volunteer for BCTV productions to gain experience and familiarity with the equipment. BCTV offers a variety of ways to foster your video skills by participating in cooperative productions, shooting concerts and performances in the field, editing unfinished productions, and plenty more. Put your knowledge to the test by following up our introductory classes with some hands-on experience. To find out more about volunteering for the opportunities listed below or to volunteer in any way, contact Vlasta Popelka at vlasta@brattleborotv.org or call the office. BCTV’s live, multi-camera coverage of these bi-monthly meetings is a dynamic, fast paced training ground for volunteers. As one of three camera operators, you’ll learn what it takes to pull off a live production. You'll follow the action under the direction of our staff as they manage the production from upstairs in our control booth. BCTV Open Studio is a studio interview program gives local non-profits a chance to discuss upcoming events and current issues. Also a three camera shoot, Open Studios run for 30 minutes in a controlled studio setting making them a different experience than Selectboard Meetings. Watch episodes of Open Studio here. 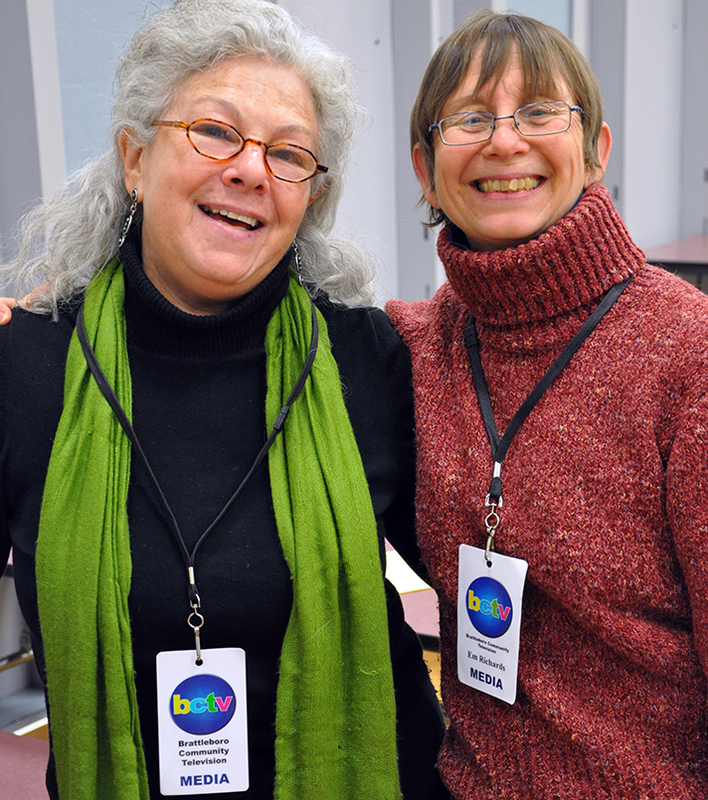 BCTV pairs volunteer producers with requests for coverage in the community. From concerts to lectures, there are plenty of opportunities for getting hands on experience while attending an event you're interested in. If you want to get started editing right away but don’t have footage of your own, our staff can set you up with an “orphaned project.” Uncompleted programs come our way all the time, and you'll learn the basics while helping us out by adding titles and trimming. Experiment with the software, try out techniques and editing styles, and pick up ideas for your own projects down the road.